Do you want to discover the best and fastest way to learn the best methods how to introduce Music to Children? Our Crash Course will make You a better Educator, and will be absolutely tailored to Your needs. what if you could learn everything you want about music education very fast so that you would be able to teach kids music without any problems? You could really develop their talents and help them become happier and healthier. You can make it happen if you really want to. - Do you struggle keeping children focused at music classes? - Do you want to improve the quality of activities with children? - Do you want to learn more, but can't find an appropriate option for yourself, because it is either too expensive, not appropriate for your level of knowledge, or the schedule doesn't fit into your plans? I have been involved in music education for kids for quite some years. I have accumulated a lot of knowledge and experience. As I got to know a lot of music educators, I realized that it is really difficult for someone new to this field to find all the right information. Eventually I decided to provide some kind of online training for those who would want to get appropriate overview, or learn more in-depth techniques. There are some other trainings out there, but they either last very long, or you have to be physically present somewhere far away, or it doesn't cover exactly what you need. It really took a lot of time and effort to get to understand the whole pedagogic system regarding music for kids. However, it was surprising to me that the basic principles are rather simple and easy to learn - if presented properly. We at EduMusica have had music classes for more than 5 years now, currently at 3 different Montessori kindergartens, and some additional groups. Also, we use similar approaches for teaching instruments (we have done that for over a decade before starting with kindergarten activities), and they have proved really successful. Our pupils have won quite a few awards at solfeggio and instrument competitions. Majority of our team has finished Music Academy, and additional trainings, but also those who didn't, are now able to successfully run music classes for kids. Of course, you may think there are some alternatives to our Crash Course. You could find an education course at some university and attend it. However, it is very expensive, takes a lot of time, and probably isn't anywhere near where you live. Another option could be that you buy a book or a video course. This may be cheaper but you are simply stuck with whatever content there is. Probably your specific problems will not be dealt with. the pricing of it is very affordable. learn some of the most useful tips and tricks. tell you which steps to take, if you would like to take your music classes to the next level. then you need to join us. are afraid to ask questions, and don't want to be a part of a community. Our Custom Crash Course will provide you with all the information you want about how to introduce music to children. As far as we know, it is the only program, that is adjusted according to your needs. This is really important, because we are individuals, each one with our own challenges. We are offering you the shortest and coziest way towards being a better educator. Just as soon as you get into our course, you will be able to ask us your first questions. We will prepare the answers and help you clear all the obstacles at the webinar within just a few days. This question-answer process will be done 3 times, to make sure there is nothing left out, you get all the answers you need, and that you will be a better educator within a couple of weeks. We have attended trainings, that cost over $1000, or workshops for $600, etc. However, we wanted to make this really available to you, so we decided that we will only charge 79 for this course. You will get the same quality of information as if you have attended something much more expensive. Also, if you run music classes, you can easily earn 4 figures per month, so this will be a very small and very useful investment for your business. We are sure you will be very happy and satisfied with what you will learn from us. 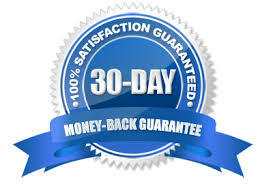 We are so sure that we offer 30-Day 100% Money Back Guarantee in case you are not happy! Just let us know anytime within 30 days after your purchase and we will refund you in full. We simply want to provide value, and have happy students. So, if you are ready to take your teaching to the next level with Custom Crash Course, simply click the Buy Now button below and then finish the process. We congratulate you on taking the right decision and look forward to make you a better teacher! PS: I just wanted to remind you that this course is designed to provide you with what you really need. The content is tailored to your needs – you decide what you want to learn! Your decision to join is also RISK FREE, since you can take advantage of our 30-Day 100% Money Back Guarantee in case you are not completely satisfied with what we provided to you. So just hit the Buy button and get ready for a fresh start! PPS: I know it is difficult to grab the bull by its horns and start making a positive change in your life. But – think about what will happen to your life after a couple of years if you will be stuck in your comfort zone? This offer is about to expire really soon. Remember, you can be refunded if you are not satisfied with the content. So - go for it and join us by clicking the Buy button!